A collaboration with Nico Morcillo. Performed at Un Festival Vrrrr on 5 November 2016, Musée d’Art, Toulon, France. 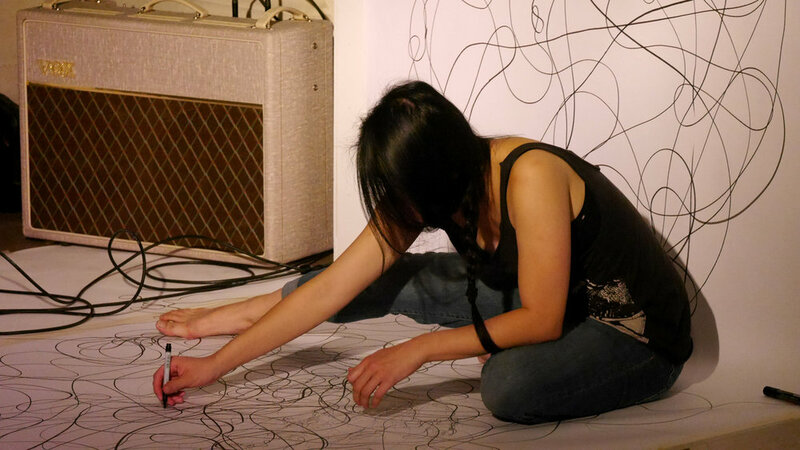 Invoking Resonance is a durational improvisation of sound (created by Nico Morcillo) and lines (drawn by Bettina Fung). 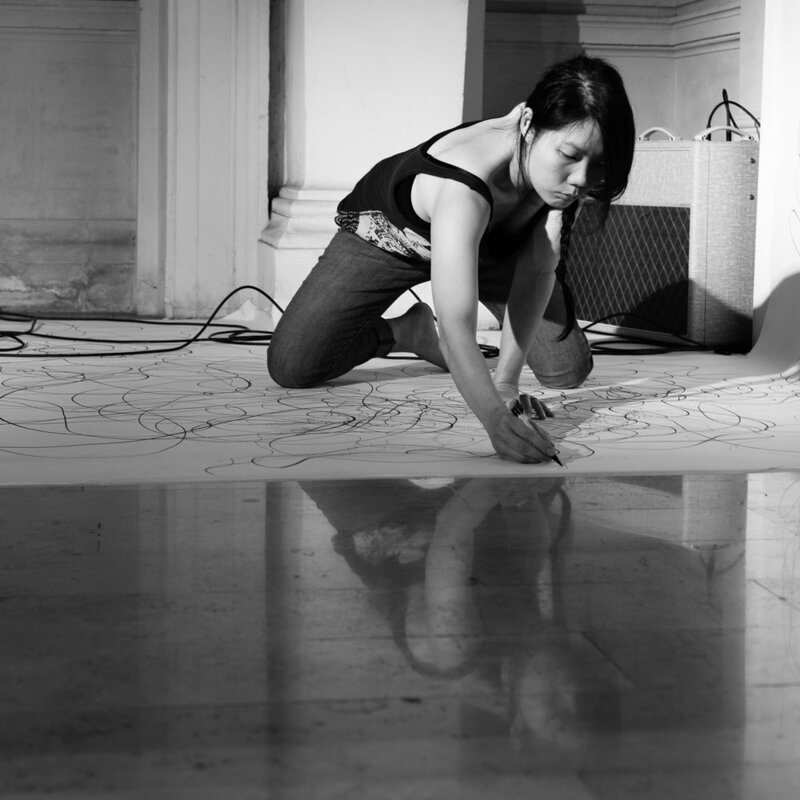 As the performance progressed, the sound and lines influenced and responded to each other, merging as one with the intention to shift the perception of time and transform the space in the museum. Photography by Alexandre Telliez Moreni and Alexandre Minnard (Black & White).